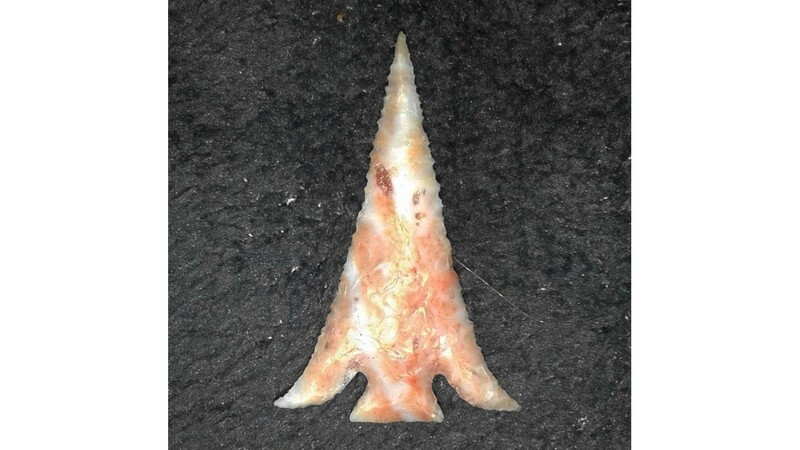 This beautiful replica Columbia River point is made of a creamy piece of mottled creamy orange Flint Ridge flint from Ohio. 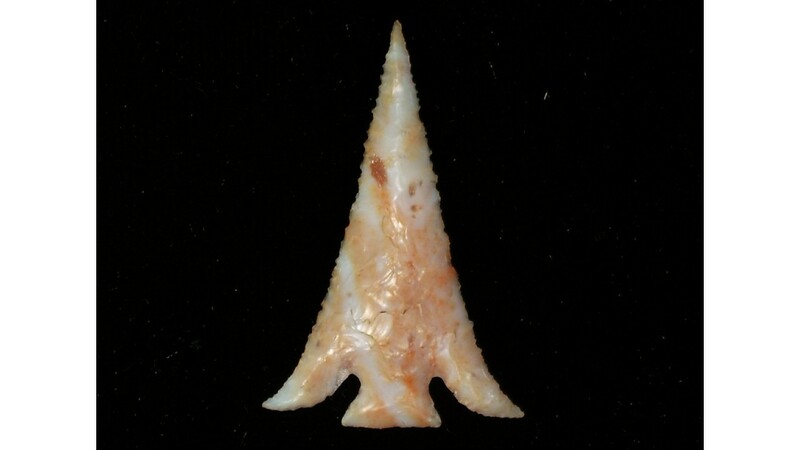 It has a beautiful, symmetrical shape, finely serrated eges, and tapers to a needle-sharp tip. 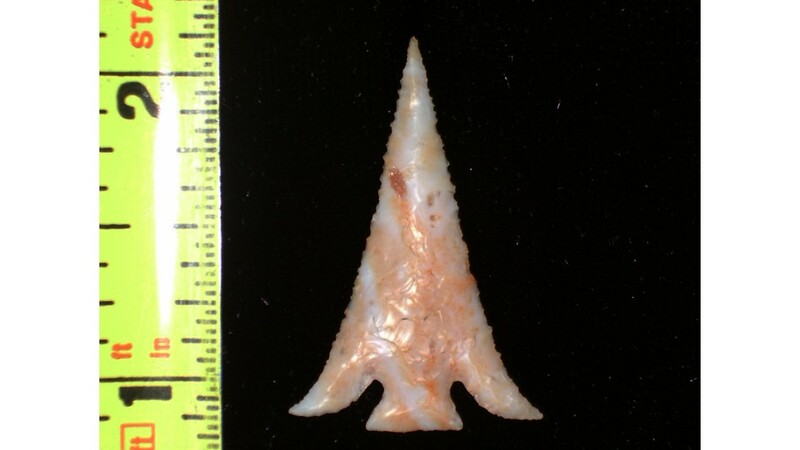 It has nice sweep-wings and very symmetrical notches. 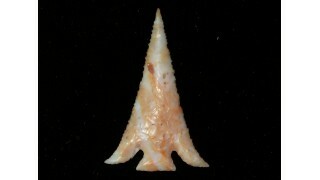 This is a fine example of the type of arrowhead made along the Columbia River in northern Oregon. Slightly over 1 1/4 inches long. 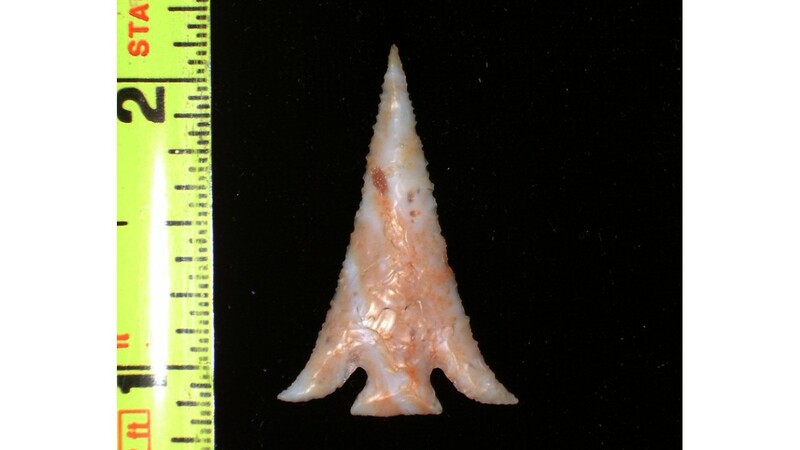 Click photos for larger images.